my books, my choices and my life. Hosted by Pen To Paper. When it comes to relationships, Colin Singleton’s type is girls named Katherine. And when it comes to girls named Katherine, Colin is always getting dumped. Nineteen times, to be exact. On a road trip miles from home, this anagram-happy, washed-up child prodigy has ten thousand dollars in his pocket, a bloodthirsty feral hog on his trail, and an overweight, Judge Judy-loving best friend riding shotgun but no Katherines. Colin is on a mission to prove The Theorem of Underlying Katherine Predictability, which he hopes will predict the future of any relationship, avenge Dumpees everywhere, and finally win him the girl. I want to read more John Green books this year. I already ordered The Faults in Our Stars and Paper Towns. This one is on the top of my to buy list. Fingers crossed I'll love them as much as I did Looking for Alaska. I want to read Beautiful Creatures before the movie comes out. I never showed any interest in reading the book, until I watched the trailer for the movie, and the windows-shattering scene. That was pretty epic. Damn I should really start reading John Green's books!! The John Green book is on my "gotta read in 2013" list! I love his books, and I finally picked up a copy of this one. I hope you enjoy! I want to read the BC series too! 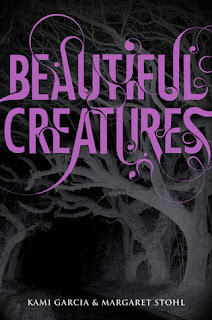 I seriously need to read Beautiful Creatures :D I've been wanting this for so long! I haven't read any of John Green's books yet! Beautiful Creatures is awesome! I absolutely love it! 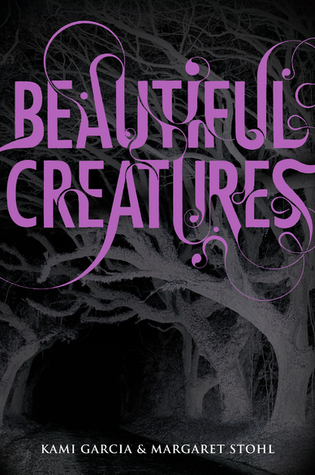 I am reading Beautiful Creatures right now too! I also want to read it before I see the movie. I just think it's better read the book first haha. Great choices this week and thanks for stopping by my blog. I actually just got a copy of An Abundance of Katherines, can't wait to read it! I own both of these books and they of course both need to be read. I hope I can get to them soon. 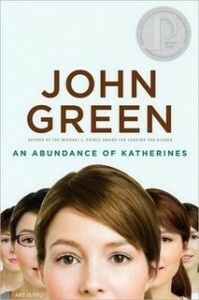 I have not read anything by John Green yet, but want to. I have seen some amazing reviews for The Fault in Our Stars. I'm a 17 year old teenager who likes to read books. Blog contents © ILoveTeenBooks 2010. Blogger Theme by Nymphont.